AHH Bean Bag Chairs Partners with AutismSpeaks, BCRF, COSAC, more. Since we opened our doors in 1998, Ahh Products has been active in supporting causes that we believe in. It's not just about selling bean bag chairs and making money for us, it's also about using that success to better our community. It sounds cliche, but we really do care! We have partnered with the fantastic organizations below by donating bean bags, funds, advertising space, and our time. Our hope is to educate, assist families in need, and of course to help find cures! If you have an organization that we could potentially partner with and support, we would love to hear for you. This incredible organization was founded in February 2005 by Bob and Suzanne Wright. Their grandchild is autistic. Autism Speaks has grown into the world's leader in autism science and advocacy, dedicated to funding research into causes, prevention, treatments and a cure. They increase awareness of autism spectrum disorders and advocate for individuals and their families. We are proud to have been able to work with Autism Speaks through advertising space and product donation. We hope to continue supporting their cause in the years to come with additional donations. Autism Response Team (ART) members are specially trained to connect families. Call: (888) 288-4762 or Email: familyservices@autismspeaks.org. As we near the end of 2012, we wanted to take the opportunity to pause for a moment to look back at some of the highlights of the year. Highlights like our Autism Votes team helping bring autism insurance reform to another three states and increase existing benefits in four others, bringing the total number of states with insurance reform to 32. Or our science and research team’s continued essential work in autism research: in the six years since the founding of Autism Speaks, they’ve funded over $180 million of autism research. Amazing. Highlights like our Family Services team’s continued efforts to provide resources and support for families in the autism community, mailing out thousands of free tool kits and awarding hundreds of thousands of dollars in grants for community programs, camp scholarships and families in crisis. In 2012 they’ve answered up to 2,000 phone calls and emails per month from families looking for assistance. Extraordinary. It’s been a year full of highlights, but we wanted to take a moment to personally thank you. Simply put: none of this is possible without you. Formerly COSAC, the NJ Center for Outreach and Services for the Autism Community. Autism New Jersey is a nonprofit organization committed to ensuring safe and fulfilling lives for individuals with autism spectrum disorders, their families, and the professionals who support them. Austism NJ supports and funds education and public policy initiatives. They offer lifetime individualized services with compassion. Autism NJ encourages and enables the autistic community's contributions to society by working to enhance their resilience, abilities, and quality of life. "We are GROUNDED in science, STRENGTHENED by knowledge and DEVOTED to creating a society of compassion and inclusionfor all those touched by autism." Call: 1-800-4-AUTISM or Email: information@autismnj.org. Autisable's mission is to provide the Autistic community with an open platform where anything Autism Related can be shared and discussed. Autisable is an online community that connects people who want to tackle the puzzle of Autism. 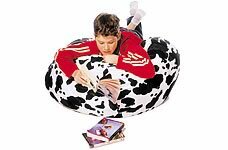 Ahh bean bag chairs plays a starring role in a TV movie series (also on DVD) focusing on helping kids deal with cyber bullying. Adina's Deck is the brainchild of Debbie Heimowitz, a Stanford University Masters student. Ms. Heimowitz's research and tireless efforts resulted in a fantastic series that portrays what cyber bullying is and how it affects kids, particularly girls. Adina's Deck is an interactive movie aimed at girls ages 9-14. The storyline focuses on the adventures of 4 technology-savvy girls who solve crimes committed using the Internet. Through a thought-provoking script, Adina's Deck teaches kids how to recognize and combat cyber bullies and harassment. We are proud to have been able to donate bean bags for the movie sets. BCRF is an independent nonprofit organization whose mission is to achieve prevention and a cure for breast cancer in our lifetime. 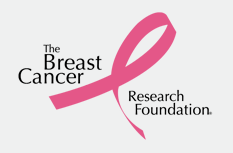 BCRF provides funding for innovative research worldwide. Currently, 91 cents of every dollar spent by BCRF is put towards breast cancer research and awareness. Since its inception, the Foundation has raised more than $380 million to support the most advanced and promising breast cancer research. We are proud to support BCRF in its fight against this terrible disease. We have an intimate connection to this cause, as unfortunately many of us do since it is so prevalent. Whether through a Grandmother, Mother, Sister, Daughter, or our very own struggle; breast cancer has touched too many lives. JDRF, founded in 1970, is the leading global organization focused on type 1 diabetes (T1D) research. JDRF is driven by devoted volunteers with a personal connection to children, adolescents, and adults with this disease. Their goal is to improve the lives of those affected by T1D by supporting promising opportunities for curing, treating, and preventing T1D. Over 80% of JDRF's spending goes directly to research and related education. We were proud to have our bean bags featured at a black-tie-gala fundraising event. Some children have trouble concentrating. Sometimes a bean bag chair, or a desk to stand up at, can help. Read about home strategies to help kids focus. The Washington Post printed an article "Rooms Planned To Hold Their Attention" that discusses how to make a learning environment best suited for kids with ADD, ADHD, and other sensory disorders. We are proud to have our bean bag chair featured.